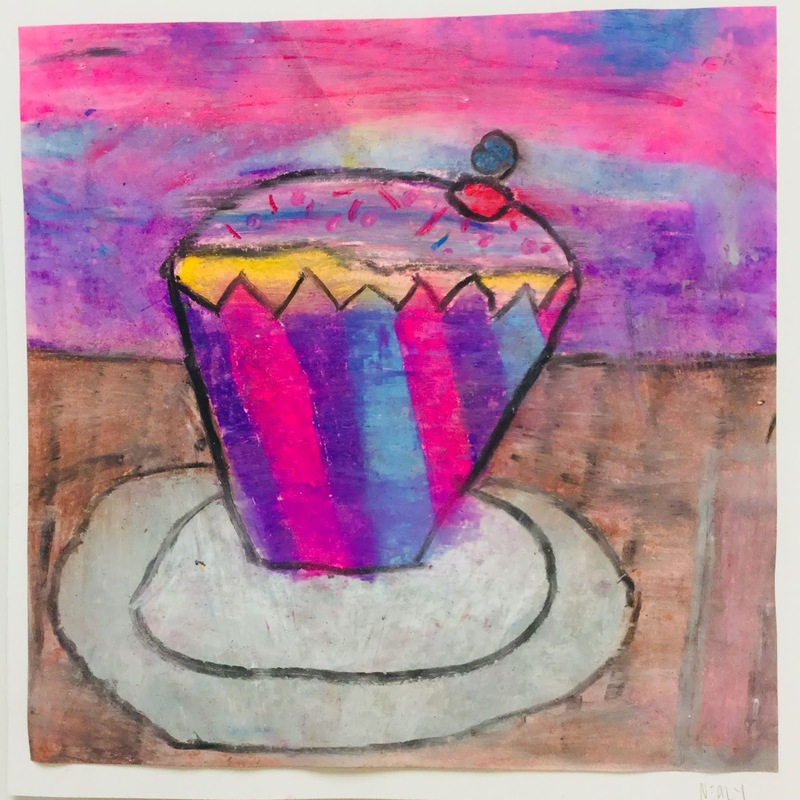 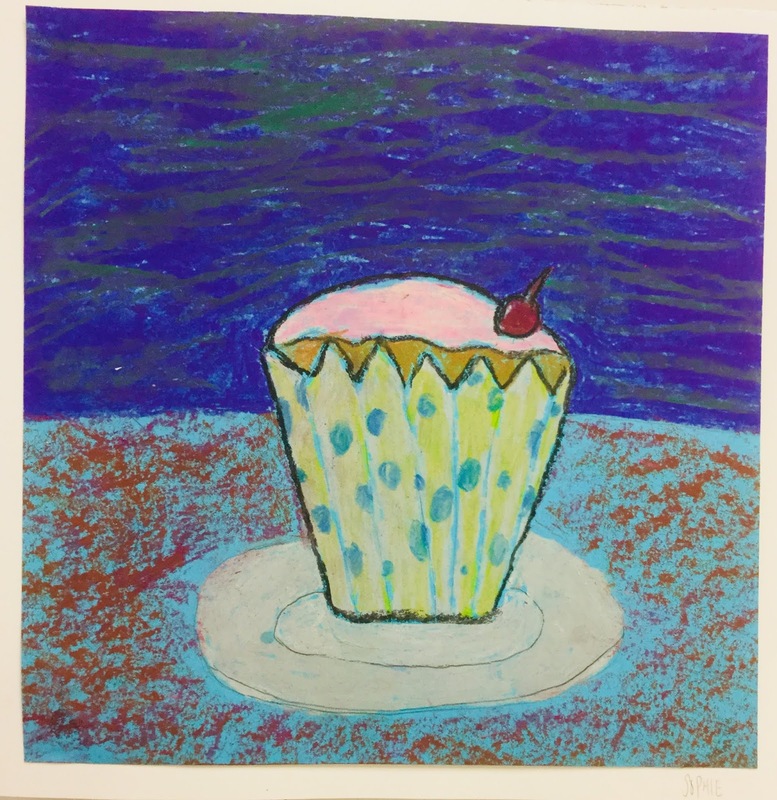 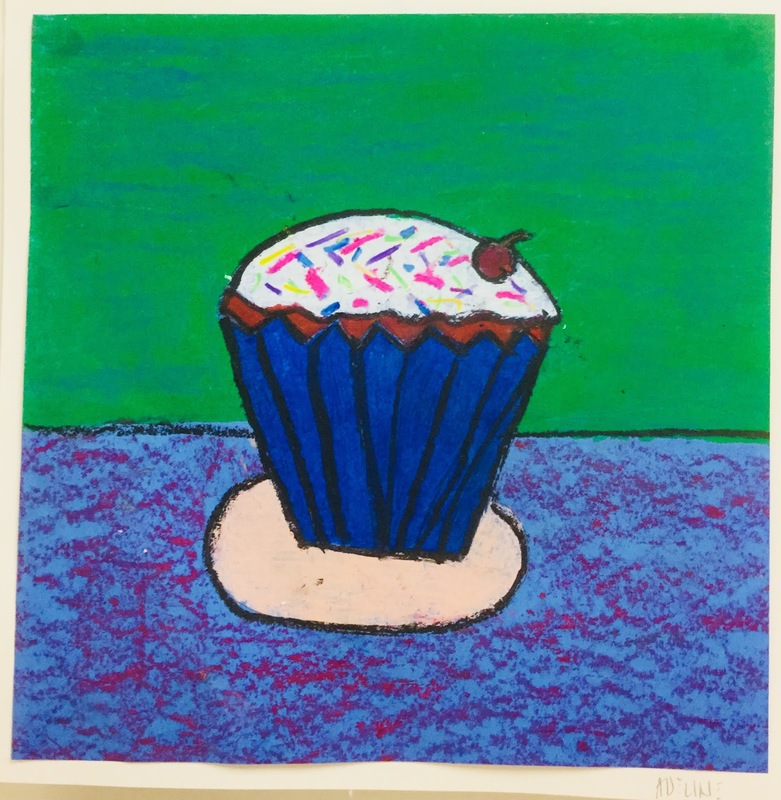 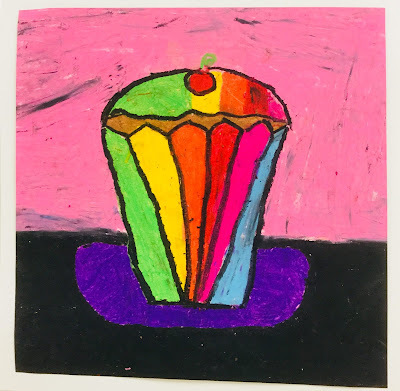 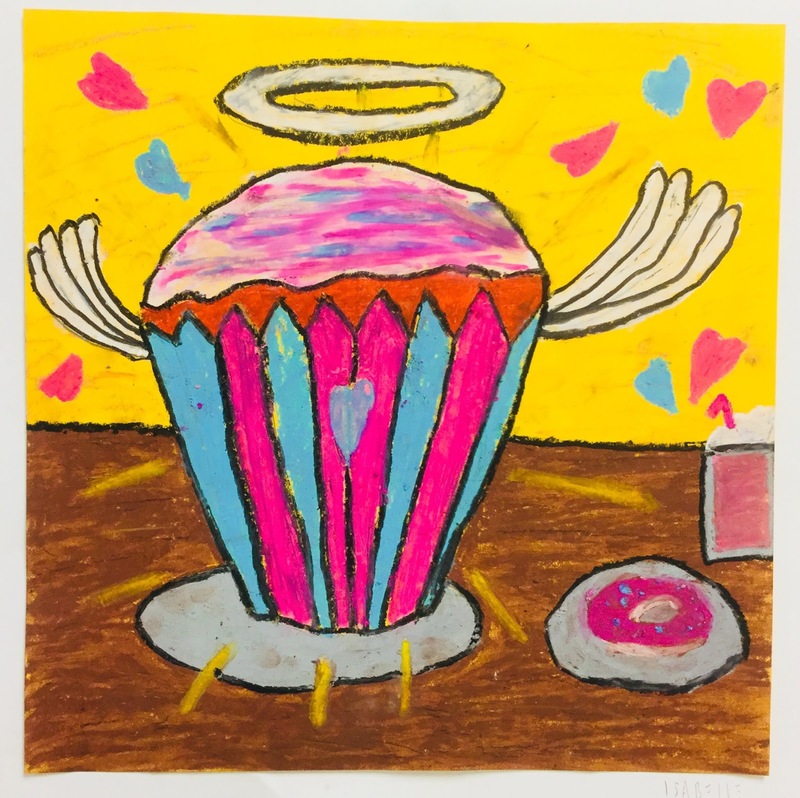 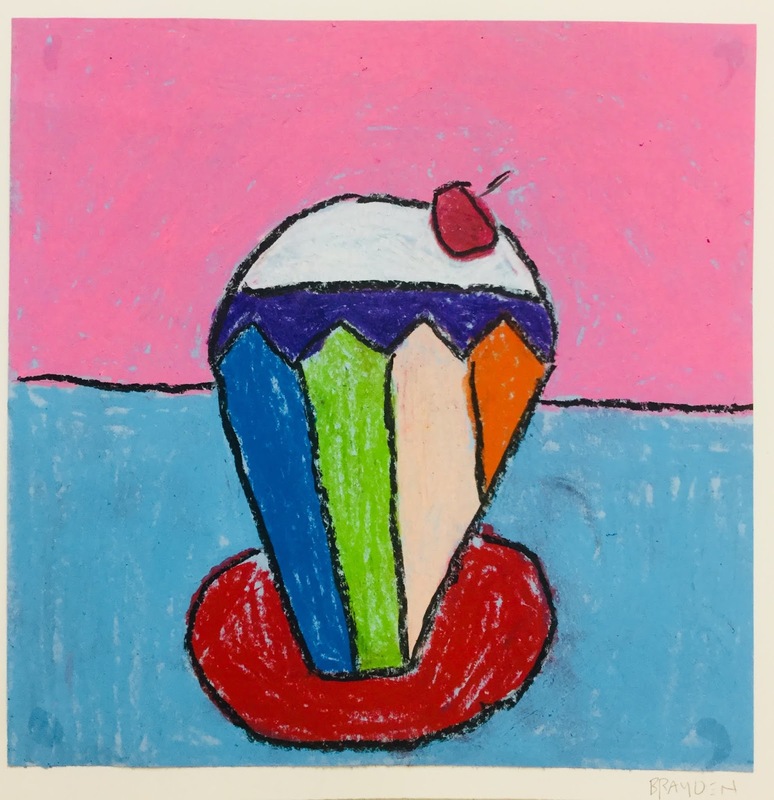 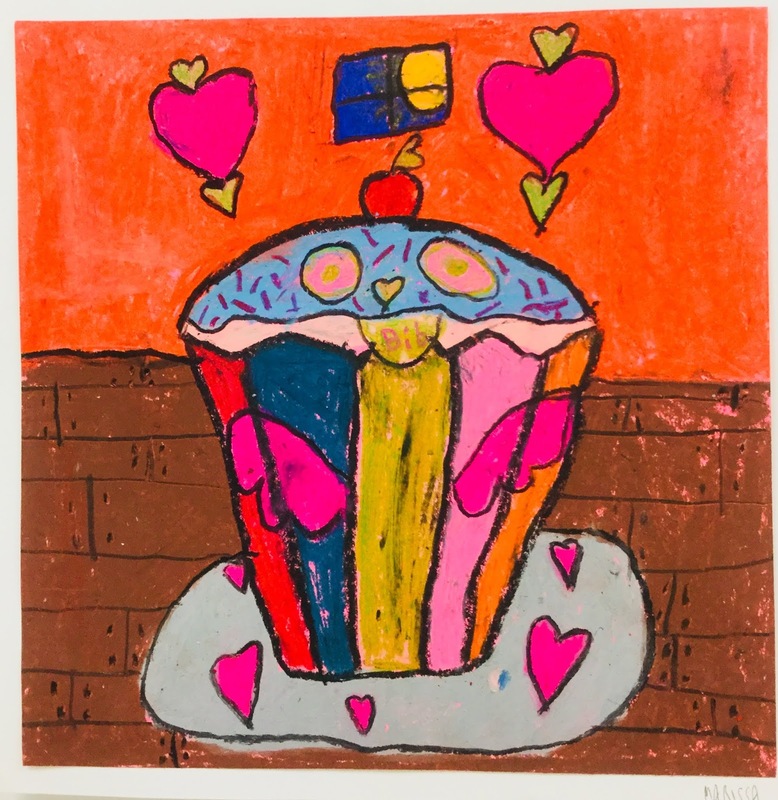 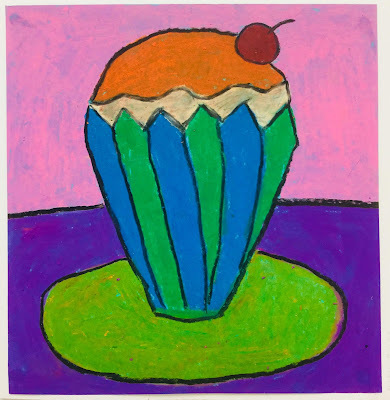 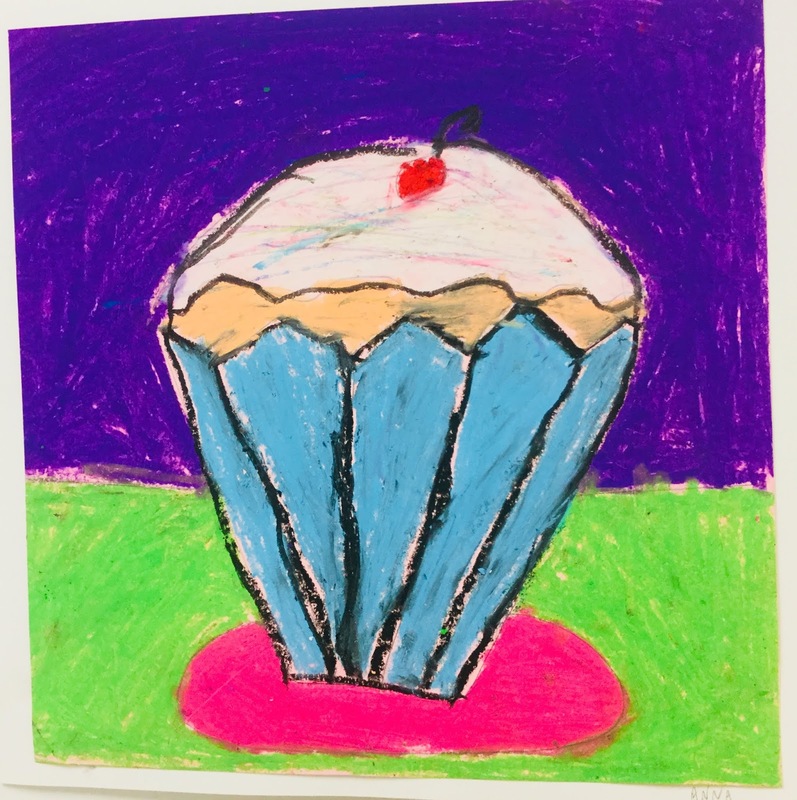 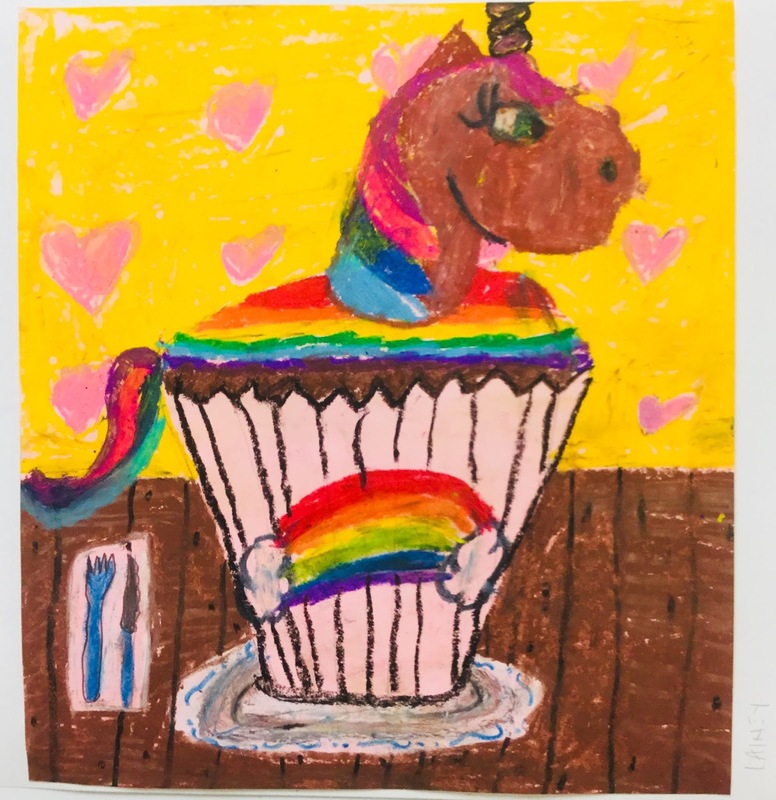 Kim & Karen: 2 Soul Sisters (Art Education Blog): Dreamy Cupcakes! 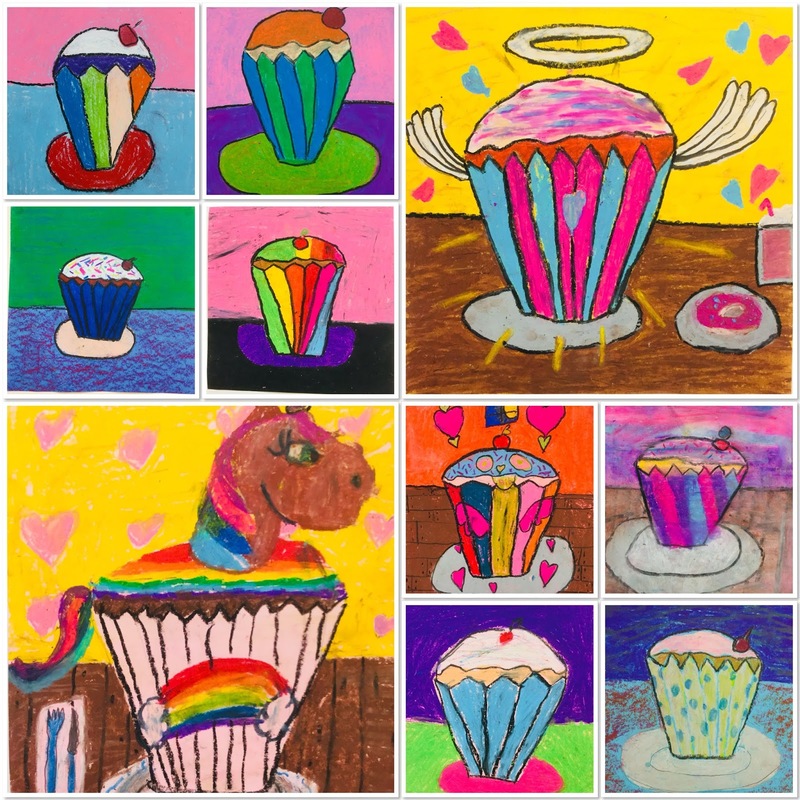 The cupcake project was one of those strange ones. 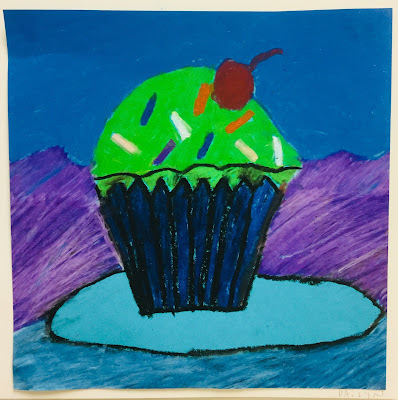 The 4th graders started it, but then we had to put it aside a few weeks to finish up some other things. I feel like the break may have been good. When we finally got around to finishing the cupcakes, the kids👦👧 were full of energy and creativity! I told the kids to draw✎✏✐ a basic cupcake on an 12" x 12" sheet of paper. 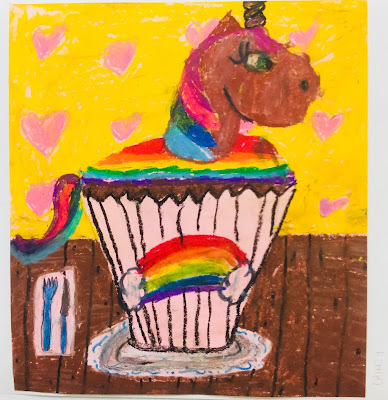 Then, I told them to be create a dream cupcake. Also, I told them that we would be using oil pastels. 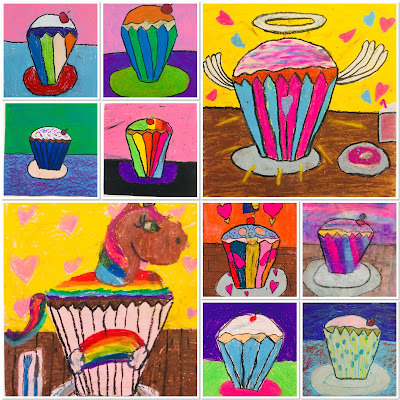 They worked so hard on these dreamy cupcakes. "Dreaming On" with Aerosmith thinking about these dreamy cupcakes!